Who are the Bushies? In the 1970s and 80s Bushies was shorthand for the volunteer bushwalkers’ search and rescue group, which were then and still are, called upon by the Squad to assist in bush searches. Now called Bush Search and Rescue or BSAR. That connection with Bill is obvious. 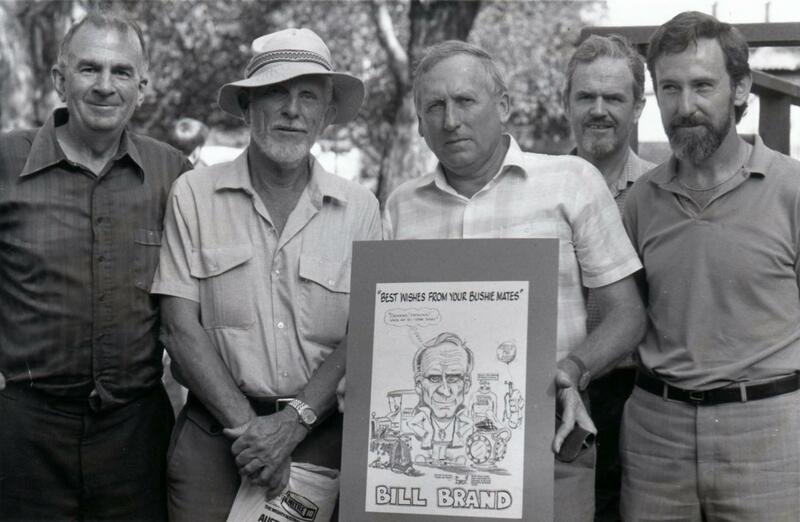 But there was much more to Bill’s relationship with the bushwalking community. By the late 1960’s what is now called outdoor education was taking off in schools. Trips were sometimes led by inexperienced or poorly trained teachers. Bill, in his role, was only too aware of the near misses and some tragedies. A new, innovative Bushwalking Leadership Course was established, aimed primarily at teachers. Bill was on the managing Board from its inception. This outstanding course built around experience-based learning and robust mentoring ran for over 30 years. Bill was on the Board for 20 of those years until his retirement and held significant roles during that time, including overseeing all candidate assessments. Many of the leadership course staff were already members of the bushies, and more became so. Many candidates were, or became, members of the Bushies too. And not surprisingly, all members of the Squad completed the Leadership Course. In human terms, it was more akin to a Clan. With Bill at the head. Yes, Bill had a hard edge; a reputation reinforced by his extraordinary tales of a young Patrol Officer in the New Guinea highlands. But there lies the paradox. To both Staff and Candidates doing the Leadership Course, he was known as Uncle Bill. The bushwalkers recognised the bluff. For the Officer-in-Charge of an elite Police Squad to be given that accolade by a section of the community is rare, surely. It was a mark of great affection and great respect from the bushwalkers and teachers doing the Leadership Course. No-one else was called Uncle, or Auntie. 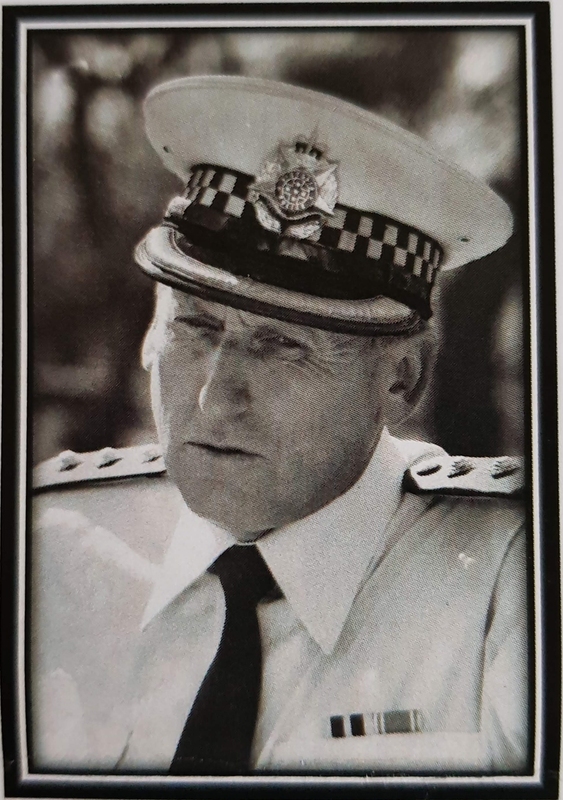 In 1976, Bill was running a search exercise as part of the Leadership Course Final Assessment week. He was on a track contouring around a hillside, quietly watching one of the candidates as he searched down the gully below, oblivious to Bill’s presence. At the end of the exercise Bill took that young bloke aside and told him how the job could have been done much better; describing in turn each log, thicket or section of creek bank that had not been properly searched. That young bloke was me. I sure got the message. As with any good uncle, you knew exactly where you stood with Bill. If you needed some advice, you could expect to receive it, delivered with that steely glint in his eye. But it really was a twinkle. Most of the time, anyway. In his teaching Bill had some consistent themes. To Leadership Course candidates it was the oxymoron, “Hasten slowly”. To properly balance a speedy response with a considered one. To the Bushies, he would remind us to keep an open mind, to have no pre-conceptions about what you are going to find or expect to see. He would illustrate his point with some gruesome examples, because Bill taught by telling stories. You remembered the lessons. The relationship between the Squad and the bushies, or BSAR, existed from the Squad’s inception, fostered by many Police and many bushwalkers. But of them all, Bill played a central and iconic role for a generation, cementing that relationship into an enduring one that continues to this day. More generally, as one of the key leaders in the Bushwalking Leadership course, Bill made a difference. The work of Bill and the other drivers of that course embedded safe outdoor education in this State, with the effects lasting for decades as the young course graduates moved on to become school and education leaders. The new university level outdoor education courses that began were often staffed by Leadership Course Graduates too. Further, the course teachings filtered back into the bushwalking clubs as well, with the same result. Better led and safer bushwalking. And we will search the gullies to the standard that you would expect.